Here is the next of our reader product reviews. As always, there are two reviewers drawn at random. 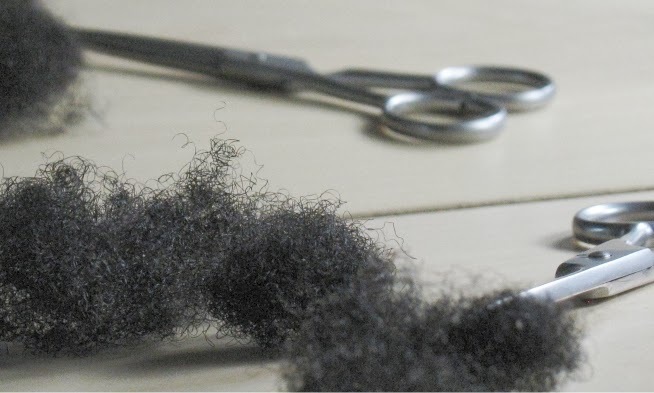 This review was done by Chai of Back to Curly and Mikimu of My Journey Back To Natural.Both ladies have blogs if you wish to see their hair texture. On a scale of 1-5 where would you rate this product? How well was your hair moisturised by this product? C: Did a good job in helping to maintain the moisture already in the hair. I used it as a finisher after putting in two-strand twists & also after taking the twists down. I added a small dollop to help prevent frizz and hair was incredibly soft to the touch. M: This product kept my hair very well moisturized while not leaving any greasy residue. This lets me know that the product did not just sit on my strands, but rather was able to penetrate them to nourish from inside out. My hair was shiny, bouncy and very healthy looking. Do you like the ingredients in this product? C: Lavender Oil & Rosemary Oil are two of my absolute favorite essential oils in body products as well as hair butters & this has them both! Both have amazing properties that are great for overall scalp health so if you’re looking for something that won’t cause too much buildup, this is ideal. M: The ingredient list is very simple: Shea butter, olive oil, beeswax, rosemary oil, lavender oil & fragrance. I like that these ingredients are natural and no obscure chemicals were added. It would be nice to see vitamins like A, D, and E added for extra nourishment though. Overall, I am happy with the ingredient list. This product retails at $14. Do you think it is good value for money? C: The jar comes in an 4oz size for $14, which I think is priced reasonably considering I used very little to help give my hair added shine. It also doubles as a body butter which is a nice bonus. 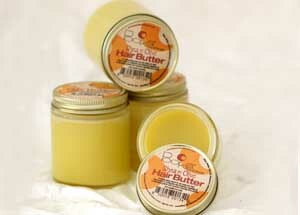 M: This product is listed on the Pooka website for $14.00 for a 4 ounce jar. I was not compensated for this review; however, I would purchase this product at this price. It is indeed a great value for the price. Would you add this product to your regular staples? C: Absolutely! It’s often difficult to find a shea butter based product that doesn’t leave an overly greasy feeling once applied, & considering this also contains olive oil as base, I was even more impressed. The smell is pretty heavenly! I’m certifiably addicted to most hair products that deliver on their intended purpose but also leave a lasting impression with the scent. Love it! M: I would definitely add this product to my regular staples. I would even consider replacing the current shea butter-based product that I currently use do to the creamy consistency, fragrant scent and price. Thanks to Pooka for sending the product and readers Chai and Mikimu for reviewing it! Great review but, $14 for 4 oz. of shea butter mixed with olive oil? That's a lot of money. You can similar products with more beneficial oils for a bit less. Some companies have 8oz shea buter mixes for $10 or less. It costs much less to just make the mix yourself. You can get shea butter (unrefined from Ghana) for $4 a lb. and olive oil from the grocery store for about $7. I am definitely one who likes to play with oil mixes by myself but there are some people who would just like to purchase a ready mixed product. Great review! I love the fact that you had two opinion.Even thought they reach the same conclusion, we can still see the differences. Just jumping into the discussion of the price, I love to mix and buy ready mixed products. When I mix, I get a bigger batch and I can give some to siblings. However when I buy a ready mixed, it is convenient and I feel good because I am supporting someone else's dreams. Even though it is $14 for 4oz, there is also the cost of electricity, packaging,time to mix the product that is included in the price. I love Pooka! It also helps that their warehouse is within walking distance from my house.